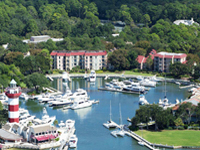 Land or water visitors to Hilton Head Island will find several marinas that can accommodate small, medium or large yachts. Visitors will also find every conceivable ammenity including water sports to deep-sea fishing, inshore fishing charters, sport crabbing, sail and power boat rentals, sightseeing, nature excursions and dinner cruises. 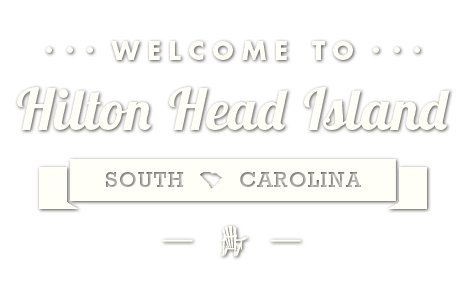 Come and enjoy all that Hilton Head Island has to offer you water lovers! 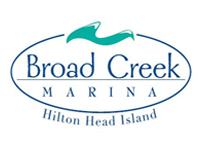 Here you can learn all the benefits making Skull Creek Marina your home port and enjoying all the amenities of Hilton Head Island. Mile Marker 555 on the ICW. 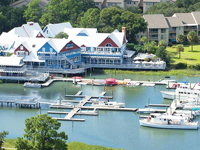 Hilton Head Island’s newest nautical facility providing both wet slips and dry storage as well as fishing charters, water sports activites and dockside tavern. Safe and secure… yet totally convenient to deep water and a great day’s cruise. At any time. That’s exactly how our harbour was designed. The marina at Windmill Harbour, Insulated from tidal changes and variable sea conditions, is one of only three private locked harbours on the East Coast. It offers an unparalleled combination of convenience and security. 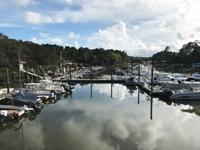 Check out Hilton Head Island’s largest deepwater marina, Shelter Cove Harbour & Marina, for fishing charters, kayaks, boat rentals, dolphin tours, nature tours, sunset cruises and more! 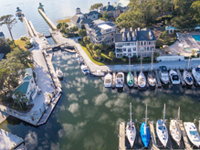 With 178 boats slips, transient boat slips, shopping, dining and breathtaking views of Broad Creek, there is something for everyone at Hilton Head Island’s happening harbour. 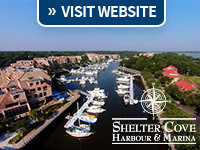 Call 888-527-2698 or visit www.sheltercovehiltonhead.com. Visit our WEBCAM. Hilton Head Harbor due to its prime location on Hilton Head Island, offers a semi-tropical atmosphere. 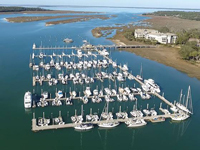 Situated on the IntraCoastal Waterway, sites are large enough for most campers or big rigs, have concrete pads, 30 Amp, 50 Amp service and Cable TV at all sites. We are pet friendly. Daily, weekly and monthly wet dockage accommodating boats up to 30′. Private Boat Ramp, Fuel available from our dock. Closest Marina to the Atlantic Ocean plus Water Sports Available.